Sobeys had challenged the ban in court. EDMONTON — Albertans can continue to collect reward points for pharmacy purchases. A Court of Queen's Bench judge has ruled the regulator of Alberta pharmacists does not have the legal power to impose a ban on consumer loyalty programs. The Alberta College of Pharmacists wanted to impose such a ban on pharmacists and pharmacies in 2014, but the Sobeys grocery chain challenged the plan in court. "There is no evidence of actual or reasonable possible harm to customers (patients) as a result of loyalty programs or other forms of inducements,'' Justice Vital Ouellette said in his written judgment. Ouellette also said inducement prohibitions do nothing to protect consumers from incompetent or unethical pharmacists. He said the College's plan would amount to controlling the way commercial businesses operate and compete among themselves in terms of prices offered to consumers and costs. "There is no evidence of actual or reasonable possible harm to customers (patients) as a result of loyalty programs." Sobeys said it is delighted with the ruling. "At a time when many Albertans are facing economic challenges, the court's decision is particularly welcome news,'' Vivek Sood, spokesman for Sobeys National Pharmacy Group, said in an email. In April 2014 the College voted to amend its code of ethics to prohibit its members from providing or being part of consumer loyalty programs that are based on the sale of drugs or professional services. At the time, the College said it made the decision because pharmacists and technicians are health professionals, not simply vendors of drugs. 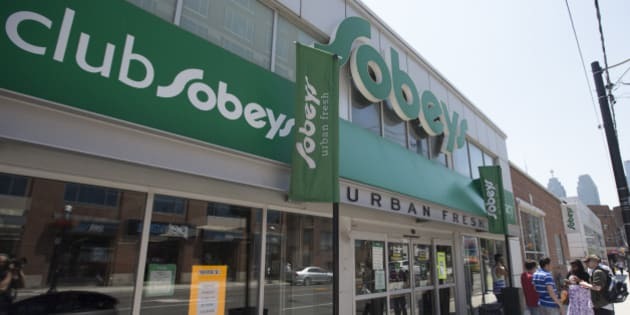 Sobeys argued that millions of Albertans collect rewards points such as Air Miles at pharmacies and a survey suggested most consumers considered a ban unfair. The grocery giant also said studies suggest loyalty programs build stronger bonds and encourage better patient adherence to prescription medication. "Encouraging competition and making prescriptions and pharmacy services more affordable has been at the core of our challenge." A judge granted Sobey's request for a stay of the college's plan in June 2014 pending the outcome of the court case. Shirley Nowicki, an Alberta College of Pharmacists spokeswoman, said the court ruling was being reviewed but declined further comment. The Alberta judgment follows a unanimous British Columbia Court of Appeal ruling in January in favour of bylaws passed by B.C. 's pharmacist regulator that banned incentives for prescriptions or pharmacy services. An earlier B.C. court decision had struck down the ban. The College of Pharmacists of British Columbia hailed the appeal court ruling, saying it considers the provision of incentives like redeemable points to be unethical, unsafe and unprofessional. Nova-Scotia-based Sobeys is owned by Empire Co. Ltd. (TSX:EMP.A). The company says it owns or franchises more than 1,500 stores in all provinces under the Sobeys, Safeway, IGA, Foodland and other banners.